Some birth moms love having a day to celebrate and honor their decision of adoption placement while some hate having a separate day. Wherever you stand on the matter you can choose to acknowledge and celebrate it– or not. I personally love it and swelled with pride my first Birth Mother’s Day– and Mother’s Day the following day– 12 years ago as I was able to remember my birth daughter and the choice I made for us. I loved that I had, not one, but two days to celebrate the fact that I grew a child and then chose the best life for her that I could at 16 years old. I’ve always had peace with my decision and I felt excited that I had the whole weekend to acknowledge the most important defining moments in my life. Those moments were what changed me into the young woman I had become that first year, down a new positive path. I was proud of my decision, my selflessness to place her needs over my wants, proud of the new person I was becoming and the little girl she was blossoming into surrounded with love. Celebrating my first Birth Mother’s Day truthfully was nothing special– except for what arrived in my mail box that day. My birth daughter’s Adoptive Mom had mailed me a card with sweet yellow flowers. I remember carefully opening it, thrilled that I was remembered. I was so moved that the amazing mother to our daughter took the time to mail me a little note of her appreciation. Shouldn’t I be thanking her for the mother she is? I think that’s why I love Birth Mother’s Day. I like (maybe selfishly?) the acknowledgement of our sacrifice as birth mothers. After all, adoption would not be what it is without birth mothers in the picture– without our choice (in many cases) to love our children enough to let them go. It’s a deeply painful decision to make, a grief we bare for the rest of our lives. We choose to break our own hearts to give them what we believe is better in those moments. That deserves to recognized in my opinion, not just within the birth mother community, but by adoptive parents and the world beyond. In fact, that’s exactly how I celebrate my Birth Mother’s Days now 12 years later. The last few years I have been invited to gather with other adoptive moms and birth moms for a brunch on the Saturday before Mother’s Day. It started with an adoptive mom who decided to have brunch each year with her adoptive mother friends to honor their children’s birth mothers. The first year I went, I was the only birth mother at the table. In the following years, our table has grown and more birth mothers have joined us. We exchange stories and updates, drawing in insight from the other side of the adoption relationship over our pancakes and eggs. My adoptive momma friend in the past handed out roses and told us thank you for our choice because she knows what it was like to be on the receiving end. It feels nice to know our choice, our heartache, our love is validated and seen. I like that Birth Mother’s Day brings awareness to other point on the adoption triad that is less heard of. I like that it helps birth mothers to be remembered, as so often the adoptive side are the voices within society. As my birth daughter grows, she is now the most special part of my Birth Mother’s Day. We have an open adoption and as the years go by it only has gotten sweeter with time. Now, instead of her adoptive mother sending a card, I receive a personal phone call wishing me a Happy Birthmother’s Day after my brunch with friends. Though I have always celebrated Mother’s Day even when I didn’t have a child at home that I parented– I understand her needing and wanting to separate the days between her two moms with different roles and different names. I’m okay with that and follow her lead. Whether you celebrate only on Birth Mother’s Day, on Mother’s Day, or both like I do, know this: we are still at our cores mothers to our birth children. We grew them, birthed them, loved them. We may not have the role of “mom,” but our hearts are tied in an everlasting bond that cannot be cut nor duplicated. We are mothers in a way their adoptive mother cannot, just as they are mothers in ways we cannot be. That deserves to be celebrated. Happy Birth Mother’s Day & Mother’s Day, ladies. ****Leah Outten is a birth mother in an open adoption to one happy girl with two families who adore her. 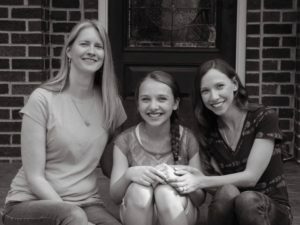 Since placement over 12 years ago, she has found her passion within speaking and writing about her experience in adoption to help others on all sides of the triad. She now serves as a birth mom mentor with Talk About Adoption and a freelance writer for various websites. You can watch her video below and find more of her writing on her blog, http://thegracebond.com/. 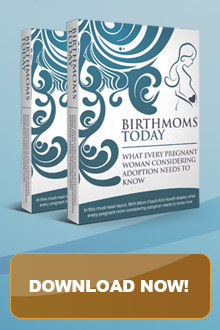 © 2016 Birth Moms Today | All Rights Reserved.